Here is my latest creation. I am pretty excited about it. 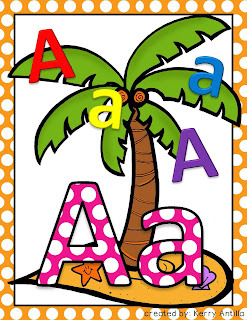 I wanted to create a new literacy center that can be used at the beginning of the year. 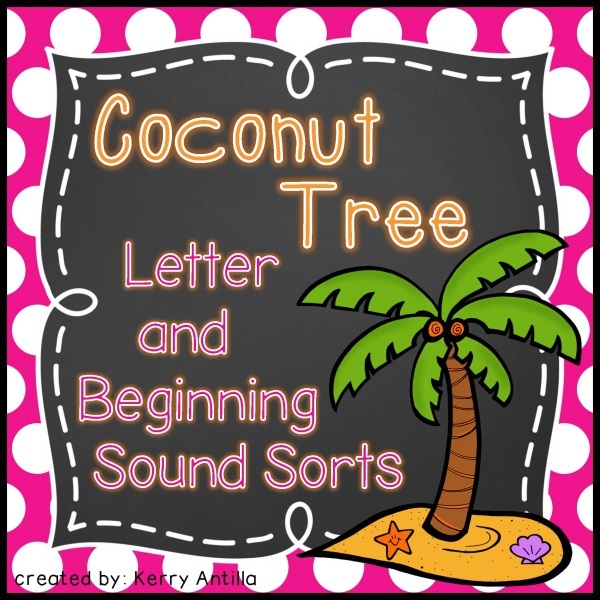 There are two different levels; letter sort and a beginning sound sort. It's perfect for meeting the needs of a variety of learners. 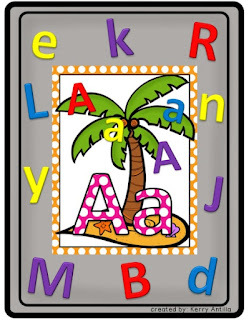 For students who are still learning letter there is a letter sort. 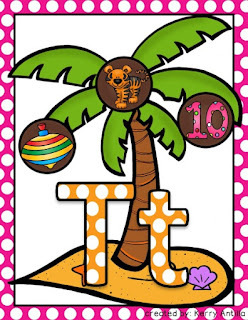 This can be done with foam letters of even magnetic letters on a cookie sheet. I LOVE the cookie sheet one because now in the first few weeks of school your kids are sorting examples and non-examples! So when you start making Venn Diagrams or other graphic organizers where things might go on the outside your kiddos will be ready! 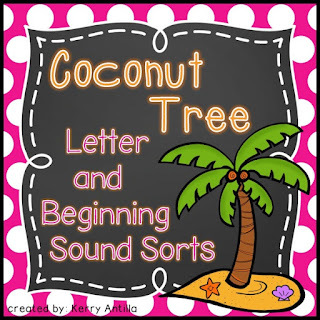 For students working on beginning sounds; they can match the coconuts to the trees.